Cove Rangers striker Mitch Megginson regards Saturday’s trip to Brora Rangers as the biggest of the season so far. 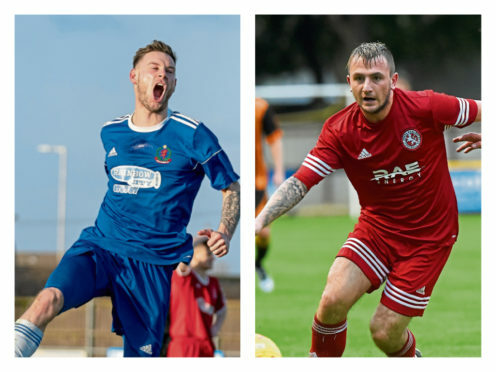 The top two in the Highland League meet at Dudgeon Park on Saturday where Cove can take a major step towards retaining their title with a victory. The Aberdeen side have a three point advantage at the top of the table as well as a game in hand. Megginson, the league’s top scorer with 43 goals, said: “It should be a cracking game and probably the biggest game of the season so far. “We will be closer to the title if we win but if we were to lose we would still be in command, although it would put us under a bit more pressure. “We’re all looking forward to the trip to Dudgeon Park as we know these are the games we need to win if we are to lift the league trophy. “It was a really tight game when we played them at our place in a 0-0 draw recently but we should have taken all three points. “I don’t think Brora had a shot on target all day but their goalkeeper Joe Malin made a few good saves. On a personal note, Megginson added: “It was frustrating against Brora last time as it’s not often we fail to score. Brora striker Paul Brindle is hoping his side can bounce back from last weekend’s 2-0 League Cup semi-final defeat at the hands of Formartine United. He said: “We have to beat Cove this weekend. “It’s a must-win game for us but we’re all really looking forward to it. “It’s great to be involved in these big games at the end of the season after a year or two when we’ve not been able to challenge for the league title. “It’s obviously still in Cove’s hands but it’s good that we’re up there too. “We must take all three points as we know, with the quality Cove have in their squad, it is unlikely they will slip up.